Step back in time! 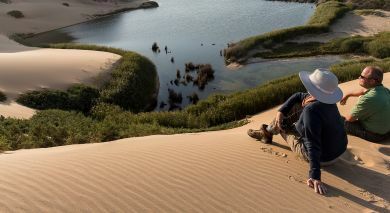 Discover Erongo, an extinct volcano complex that originated about 130 million years ago. 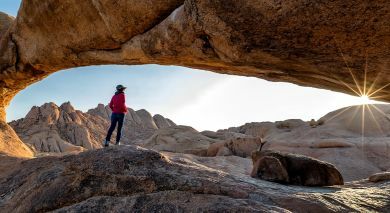 An area used by Bushmen for hunting and gathering thousands of years ago, the Erongo Mountains provide you with an incredible view of breathtaking rock formations, giant granite rocks and thousands of ancient Bushman paintings. This is an ideal spot if you are interested in geology and minerals, whilst nature lovers can enjoy the extraordinary flora and fauna. 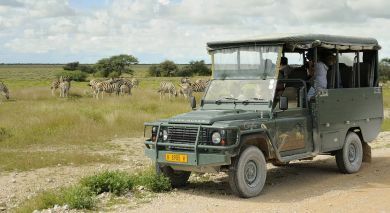 Enjoy long walks and game drives to enjoy the varied local wildlife or simply relax as you take in the sights.